Just over a week ago, a public defender asked a judge in Louisiana’s Orleans Parish to strike down a provision of the state’s constitution that allows for non-unanimous jury verdicts to result in felony convictions. Louisiana is only one of two states that allow non-unanimous jury verdicts to result in criminal convictions. The right to unanimous juries is a federal right, guaranteed through the Bill of Rights, that has not been incorporated by all states. The Bill of Rights consists of the first ten amendments to the U.S. Constitution, and is said to house the most fundamental guarantees of citizenship rights. Despite the importance of these rights, not all of them are incorporated against the states, meaning that citizens cannot always expect the same protections from state governments as they expect from the federal government. With respect to the courts, the Supreme Court has long held that rights from the Bill of Rights may be selectively applied against state courts through the Fourteenth Amendment’s Due Process Clause. The Fourteenth Amendment’s Due Process Clause creates a legal obligation for states to provide fair procedures to all citizens. This clause was used to make federal guarantees, enumerated through the Bill of Rights, applicable to states. The only provisions of the Bill of Rights that have not been incorporated are the Sixth Amendment’s right to a unanimous verdict, the Fifth Amendment’s requirement of a grand jury, the Seventh Amendment’s right to a jury trial in civil cases, and the Eighth Amendment’s prohibition of excessive fines. So, as explained further below, while the Sixth Amendment requires a unanimous verdict for conviction in federal courts, it does not require the same in state courts. The Sixth Amendment right to jury unanimity has particular significance for criminal proceedings. Currently the requirement of unanimous juries is only a constitutional guarantee in federal courts. In criminal trials, States neither need a jury to be composed of twelve jurors, nor is it necessary that jury votes be unanimous for an individual to be convicted for a crime. 48 states and the District of Columbia adhere to the constitutional standard, requiring unanimous juries. The last Supreme Court case that grappled directly with unanimous jury decisions was over forty-five years ago in Apodaca vs. Oregon. In a split decision, the court determined that the Constitution requires unanimous juries in federal cases, but not state criminal cases. This has permitted Louisiana and Oregon to allow ten out of twelve jurors to convict a criminal defendant. Even though this notion prevailed forty-five years ago, in light of more recent Bill of Rights jurisprudence by the Supreme Court, the ruling in the Apodaca decision should be revisited. More recent jurisprudence has provided a clear framework of determining which Bill of Rights should be incorporated against the states. In it 2010 opinion in McDonald v. City of Chicago, the Supreme Court held in a 5-4 ruling that the Second Amendment applies to state and local governments in addition to the federal government. In doing so, the court provided a framework for federal rights that should also be guaranteed by the state government. When deciding whether or not to incorporate a particular amendment against the states, the Court asks whether the right in dispute is “fundamental,” “implicit in the concept of ordered liberty,” and/or “deeply rooted in the nation’s history and traditions. McDonald established an explicit framework for determining which Bill of Rights protections should be enforced against states, under the Fourteenth Amendment, which did not exist in the past. The concept of jury unanimity is both fundamental to ordered liberty and deeply rooted in the nation’s history and traditions. This jury requirement has been utilized since the 14th century and is enshrined in common law. Moreover, unanimity protects defendants from the power of the government and ensures that the state is held to a reasonably high standard of proof. The vast majority of states and the federal government adherence to an unanimity requirement also shows its deeply rooted nature. In light of its conclusion that rights that are “deeply rooted in the nation’s history and traditions” should be applied against both the state and federal governments, McDonald compels a reexamination of jury unanimity. Not requiring states to have unanimous juries in criminal cases alarming both with respect to the substance of our rights and the procedures that protect those rights. The requirement (or lack thereof) of a unanimous jury verdict for conviction is a component of criminal procedure that may have dramatic substantive impacts on an individual’s life and livelihood. How can states ensure a fair trial if they allow a portion of a jury to be ignored? Some scholars have also noted the insidious racial history of unanimous juries in places like Louisiana. Thomas Aiello, author of the book “Jim Crow’s Last Stand: Nonunanimous Criminal Jury Verdicts in Louisiana” and history professor at Valdosta State University, notes that, when Louisiana’s statute that allows conviction with non-unanimous juries was first passed, it was done to make it easier to force emancipated black people into prison work systems, by stifling the opinion of the anti-slavery minority that may be included on juries. Unsurprisingly, Orleans Parish in Louisiana has the highest rate of wrongful convictions in the country. Unanimous juries may be a prime feature in wrongful convictions because they keep voices of doubt on juries from halting convictions and embolden the prosecution to pursue dubious convictions that they know some jurors will doubt. Unanimous juries are a fundamental part of the Anglo-American justice systems and have long been embedded in common law. 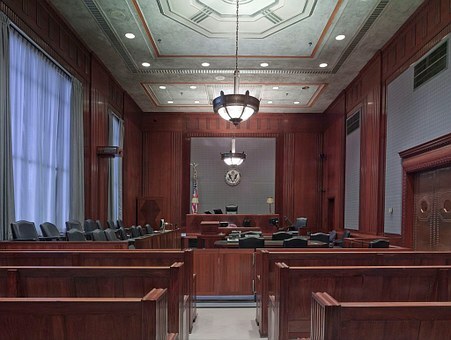 Only a few states still rely on non-unanimous juries in criminal trials. McDonald shows that federal requirements should also be state requirements under the Fourteenth Amendment, and because the Sixth Amendment requires federal courts to have jury unanimity, states should have it too. Unanimous juries represent community values and maintain external confidence in the criminal justice system. Incorporating unanimous juries against state courts also create a major positive step for fundamental fairness. Whether a claim is brought to federal or state court, individuals should be able to navigate the same criminal justice system and be guaranteed the Bill of Rights, the most affirmative assurances the American government offers to its citizens. Full incorporation of the Sixth Amendment against states is comports with constitutional guarantees and can have major positive effects on ensuring a fair administration of justice. Jim Mustian, Louisiana’s non-unanimous jury system assailed as racially motivated, The Advocate Feb. 8, 2017, http://www.houmatoday.com/news/20170208/louisianas-non-unanimous-jury-system-assailed-as-racially-motivated. Apodaca v. Oregon, 406 U.S. 404 (1972); Apodaca’s sister case, Johnson v. Louisiana, 406 U.S. 356 (1972), was decided at the same time. Apodaca v. Oregon, 406 U.S. 404, 406 (1972); LA Const. art. I, §17 (requiring concurrence of ten jurors to render a verdict in a criminal case, unless the punishment is capital); OR Const. art. I, §11 (requiring concurrence of ten jurors to render a verdict in a criminal case, except for first degree murder). McDonald v. City of Chicago, Ill., 561 U.S. 742, 130 S. Ct. 3020, 177 L. Ed. 2d 894 (2010). McDonald, 561 U.S. 742, 767. The petitioners in McDonald v. City of Chicago argued that the Second Amendment should also be incorporated through the Fourteenth Amendment’s Privileges or Immunities Clause. Supreme Court precedent, however, has consistently held for over one hundred years that none of the Bill of Rights is incorporated through this clause. In McDonald, Justice Thomas joined the majority in holding that the Second Amendment applies to the states, but stated in a separate opinion that the Second Amendment right is a privilege of citizenship that should apply to the states through the Privileges or Immunities Clause. Ethan Thomas, Trial by Most of a Jury: The Court’s Failure to Fully Incorporate the Sixth Amendment Jan. 28, 2016, http://blogs.law.columbia.edu/commonlaw/2016/01/28/trial-by-most-of-a-jury-the-courts-failure-to-fully-incorporate-the-sixth-amendment/#sthash.x7SdFvqE.dpuf.